Lucknow, April 16: The Pragatisheel Samajwadi Party-Lohia (PSPL) on Tuesday released a list of 14 candidates for Lok Sabha Elections 2019 in Uttar Pradesh, Rajasthan, Bihar and Haryana. In the list, the PSPL has announced two candidates for Uttar Pradesh, six for Bihar, five for Haryana and one candidate for Rajasthan. Shivpal Yadav's Pragatisheel Samajwadi Party Ties Up with Peace Party, Apna Dal in Uttar Pradesh. In Uttar Pradesh, Shivpal Singh Yadav's party has fielded Chote Lal Yadav from Banda, Vinay Kumar Singh from Devariya. In Bihar, Raviraj will contest from Baksar, Anil Kumar Singh from Aarah, Nirmala Devi from Sasaram, Ehteshamul Hasan from Muzaffarpur, Khaliq Ansari from Madhubani and Arvind Prasad Singh from Jahanabad. 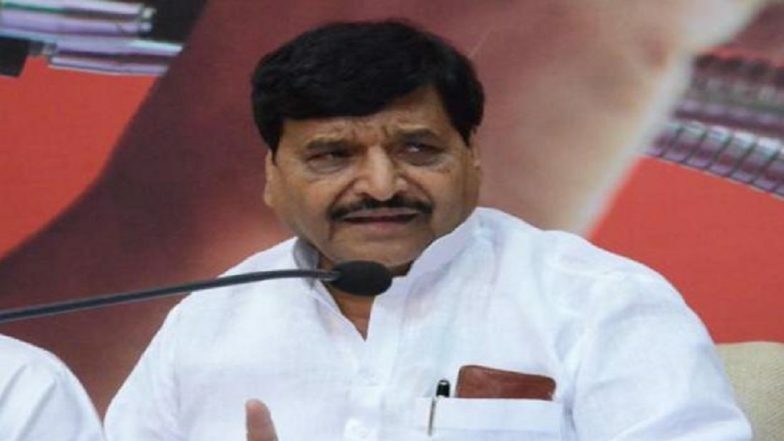 SP-BSP Alliance a Mismatch, It Will Never Win: Shivpal Yadav. In Haryana, Rajat Kalsan will contest from Hisar, Sailesh Kumar from Bhiwani Mahendragarh, Naresh Kumar from Karnal and Heera Singh from Sirsa. From Rajasthan's Alwar, PSPL fielded Anup Kumar Meghwal. The PSPL in his manifesto said that the party will work for the welfare of all sections of society. The manifesto also promised setting up a commission for farmers, industrial reforms and working for the safety and honour of the minorities, among others.